Decades of quality craftsmanship and expertise in the sheet metal industry. Kuck Mechanical is a family owned construction company that specializes in the design, custom fabrication, and installation of a wide range of heating, ventilation, and air conditioning projects. Ted and Bob Kuck founded the company in 1999, but the family legacy dates back two generations. In the 1930s Theodore Alfred Kuck began his sheet metal career in the shipyards, and later established his business in Wisconsin in 1942. The trade was passed down to Russell Kuck, who still works as an estimator at Kuck Mechanical alongside his sons Ted, Bob, and Dave. Kuck Mechanical is a proud member of several professional organizations in the sheet metal industry. Staying connected with industry leaders helps us to offer the highest quality of craftsmanship to our customers, keeping our projects on time and within budget. Associated Builders and Contractors (ABC) values the highest levels of personal and corporate standards of behavior and promotes merit-based free enterprise within the construction industry. Spiral Duct Manufacturers Association (SPIDA) is an organization made up of member companies who make spiral duct and its related products, and associated members supplying materials used in manufacturing spiral duct. This organization exists to promote the use of round duct, spiral duct, and flat oval duct by informing the public of its advantages, supporting testing and research, and promoting efficient operation of the businesses of the members. Society of Marketing Professional Services for the Architecture, Engineering, and Construction (AEC) Industry. 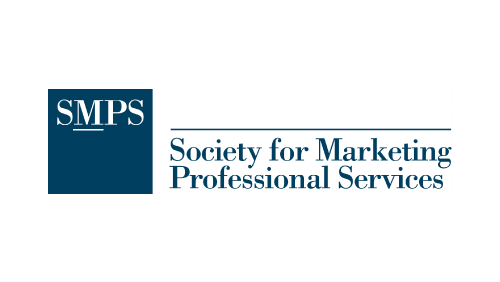 SMPS represents a dynamic network of 6,000+ marketing and business development professionals working to secure profitable business relationships for their design and building companies. American Institute of Architects - Denver Chapter As Allied Professionals with AIA, we are connected with the leading organization for architects. This relationship opens the door for collaborative design of a quality built environment. Kuck Mechanical prides itself on being a family owned and operated business. We incorporate family values into our every day work in how we care for our valued employees and our clients. At Kuck Mechanical, we are devoted to the professional development of our employees, and our company has grown from just three employees to over 90 talented craftsmen. Our Apprenticeship Program was developed to provide in-house, on-the-job training to current employees, allowing us to stay at the leading edge of the construction industry and offer the best trained workers in the sheet metal field. We do business with family values and take our business relationships seriously and personally. Our reputation is based on our ability to meet our schedule, budget, and quality commitments to our clients. We take quality seriously and are dedicated to exceeding our customers' expectations every time.